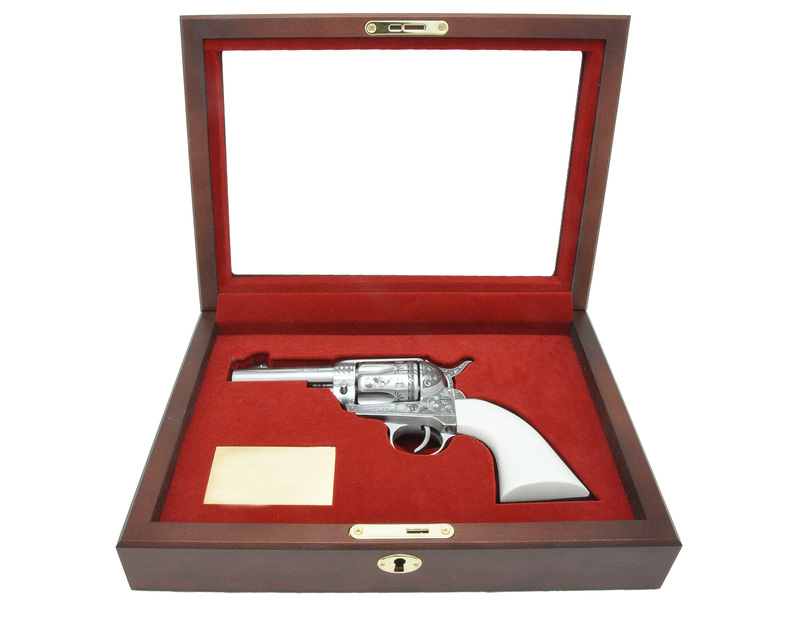 These premium quality presentation cases are crafted to display and protect your Great Western II or Colt Single Action Army firearm. They are made to perfectly fit your single action pistol. They are made from solid cherrywood and are beautifully finished. The cut-out shape will correspond to your barrel length that you have or that is ordered. Presentation case pricing will be announced soon. 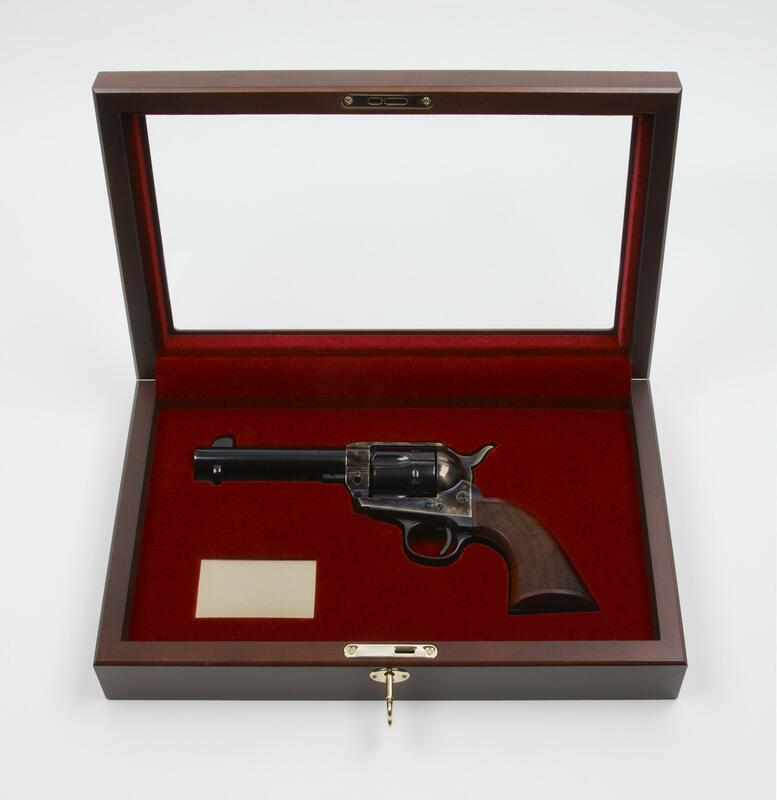 Please note: All Presentation Cases shown are with a 4 3/4" Single Action Army revolver inside. Presentation Cases for 5 1/2" & 7 1/2" Single Actions are also available. Gun not included. Be sure to add the gun of your choice. Choose from a custom cut fit for the traditional Colt Style SAA 5 1/2" or the Alchimista II or III 5 1/2" with the lower hammer and 1860 Army Grip.